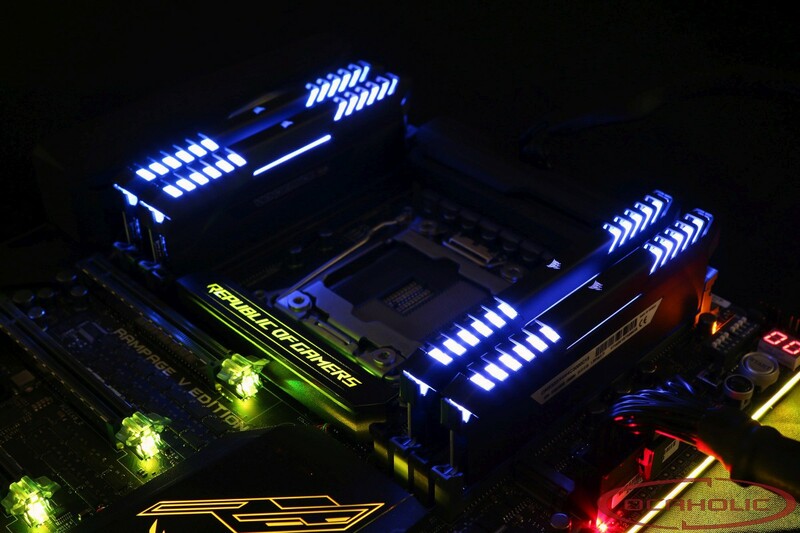 With the Vengeance RGB DDR4-3000C15 DDR4 kit, Corsair has memory modules in its portfolio, which due to the RGB lighting serve the high-end market but in the case of the frequencies it's a mid-range kit. DDR4-3000 with CL15-17-17-35 timings is currently a reasonable combination. Corsair is using custom labelled Hynix chips and our guess is that those are AFR ICs.